Tons of xj parts/sensors etc. These parts are mostly off of my 90 Jeep Cherokee I am tearing down. All parts worked as of 1 week ago when I started tearing it down. All parts for a 87-90 renix unless otherwise noted. Will ship smaller items on buyers dime. 2. alternator - 40$ - less than a year old. If its not listed ask, i probably have it. Last edited by OleBlue; 04-22-2013 at 09:28 PM. 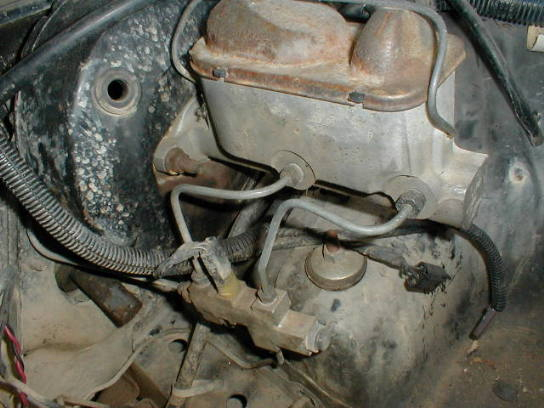 Do you have these two brake lines that transfer fluid between the MC and prop valve? Here's a pic. nope sorry, got rid of those when i did the wj mc swap. Anything body wise? Fender flares, etc? Quick Reply: Tons of xj parts/sensors etc.